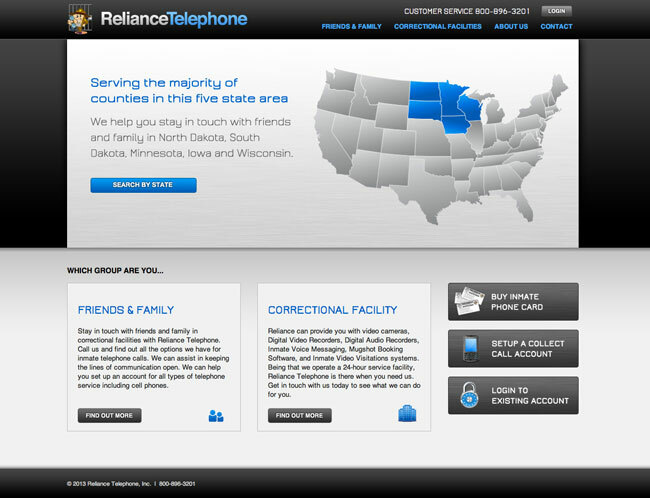 Reliance Telephone is an established company in East Grand Forks, Minnesota, that needed a new website that was modern, sleek and stylish. We gave the site a high-tech and professional vibe with metallic textures, smooth finishes, and soft gradients. We chose a techy font that is used throughout in header text and provides a great accent. The color palette is a mix of dark colors and grey tones with a splash of bright blue that gives a nice punch of color.